Joe Scarborough on Monday continued to spin for Barack Obama, this time defending the President’s war strategy in Afghanistan and placing blame on the American people. Citing a New York Times columnist, the Morning Joe host complained, "And as Frank Rich said, the President's best political ally on Afghanistan is apathy. Americans don't care that their sons and daughters are going off to fight and die for a war that really has no end game." While Scarborough reacted with some criticism, he was empathetic with the President because, “If Barack Obama takes the troops out and does what I'm saying he should do, Republicans will kill him. Every time a poppy is grown in Afghanistan, they will blame Barack Obama. Every time a woman is tortured in Afghanistan, they will blame Barack Obama. Every time anything goes wrong, they will blame Barack Obama." The Associated Press reported Thursday that the executive director of the NAACP’s Hollywood bureau is displeased with “Grey’s Anatomy” star Isaiah Washington being fired for making anti-gay slurs. Yet, the NAACP was strongly in favor of Don Imus being terminated by CBS and MSNBC in April for his statements concerning the Rutgers women’s basketball team. Double standard? You be the judge. "Well, we asked you to weigh in on our Web site in an informal poll; those of you who could get up off the floor after shaking around were able to actually log in…"
MSNBC's Scarborough: 'Do You Think' Mrs. Fred Thompson 'Works the Pole'? Conservative blogs are abuzz with a controversial remark MSNBC's Joe Scarborough made on his Friday "Morning Joe" program about Jeri Thompson, the wife of former Sen. Fred Thompson (R-Tenn.), who is mulling over a White House bid. For those that missed it, Friday night’s debate on Fox News’ “Hannity & Colmes” between “Imus in the Morning” producer Bernard McGuirk and Rev. Al Sharpton was a fireworks-filled extravaganza (video in three parts available here, here, and here; full transcript follows). Without question, McGuirk came prepared to take on the man conceivably most responsible for his termination by CBS Radio, as well as his boss’s, Don Imus. Boycotts are falling everywhere. With the French having elected Sarkozy, American conservatives are feeling good about buying Beaujolais again. And with Imus gone from MSNBC, Hillary Clinton has ended her one-woman boycott of the network's morning-show slot. Hillary had famously shunned the shock-jock's show in the wake of his suggestive shtick at a Radio & TV Correspondents dinner with Pres. Clinton and the First Lady in attendance. Hillary did a lengthy phone interview at 8:09 EDT today on "Morning Joe," the latest in MSNBC's revolving morning-chat shows in the old Imus slot, hosted by Joe Scarborough, a former Republican congressman who hosts a regular evening show in the MSNBC lineup. At one point during the interview, Joe told Hillary "I'm not kissing up to you at all. Those who know me know I certainly don't do that." But if there were any questions that put Hillary on the spot, I must have missed them. There were points of agreement on health care and other issues. Joe blamed himself for being part of the impeachment effort and closed with a bouquet for Hillary's "unifying" presence. Hard-left radio talk show host Stephanie Miller will be filling the Don Imus morning-radio-simulcast gap on MSNBC next week from April 30 to May 2. On her show Thursday morning, she was joking to her male sidekicks about what can be said on MSNBC: "You can't call me a whore. This is waaaaay too funny, folks, and requires all combustibles, potables, and sharp objects to be properly stowed before proceeding. They didn’t call him “The Hammer” for nothing, folks. In the midst of this disgraceful Don Imus affair, one thing has been sickeningly apparent: few members of the media have the guts to stand up to Jesse Jackson and Al Sharpton and call them out for their obvious hypocrisy. Such can certainly not be said of Jason Whitlock, an African-American sportswriter for the Kansas City Star who not only wrote a remarkable, must-read column on this subject Wednesday, but also went on MSNBC’s “Tucker” Thursday to say things about this issue and race relations in this country that few in the media would ever dare. The April 13 edition of "The Early Show" reported on CBS firing Don Imus from the radio for bigoted remarks. 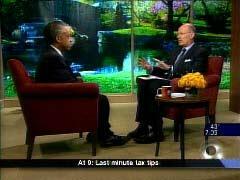 To react to the news, anchor Harry Smith interviewed the Reverend Al Sharpton. After hard hitting interviews with Alberto Gonzales and Tony Snow, the CBS anchor seemed disinterested in throwing hard balls to the left wing activist. On the Thursday edition of what would be MSNBC’s "Imus in the Morning" simulcast, NBC reporter David Gregory spent almost 15 minutes of air time discussing the radio host's firing with the Reverends Al Sharpton and Jesse Jackson. 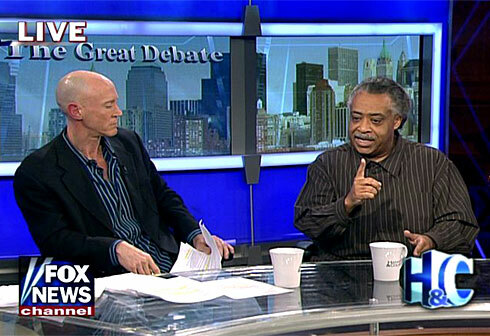 David Gregory: "You referred to New York as ‘Hymie Town’ in the past. You, you apologized for that and you expected and indeed retained your platform in America as a civil rights leader and as an important voice in this country. Why, again, if I may, should Imus be denied that same opportunity for redemption and to retain a platform that potentially could be used for good?"